Kenny’s first six years in practice were spent at Shepherd+ Wedderburn, working in both the Edinburgh and Glasgow offices corporate department upon qualifying. 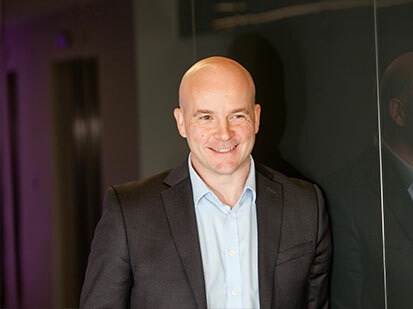 While working in the Glasgow team, Kenny became heavily involved in the establishment of the Scottish Co-investment Fund and acted for Scottish Enterprise in the fund’s first deals. This early involvement lead to Kenny spending two years as an Investment Manager within the Scottish Enterprise team which managed the Scottish Co-investment Fund and other funds, involved in deal execution, co-investor relations and fund structures. After two years at Scottish Enterprise Kenny joined Braveheart Investment Group plc as In-house Legal Counsel, shortly before its listing on AIM. Kenny spent two years with Braveheart remaining heavily involved with deal execution and increasingly involved with new fund formations. Kenny then join MBM Commercial as a partner in the corporate departments in 2008, building upon his general corporate experience and in particular, his experience with fund formation, growth companies and angel and venture capital investments. Since joining MBM Commercial Kenny has continued to be involved in a huge number of equity investments, acting for investors (whether angels or VCs) and investee companies. Kenny has also had a lead role in many of the prominent exits that MBM Commercial has been lead adviser on, including the sale of McKinnon and Clarke (now M&C Energy) to Lyceum Capital, the sale of Lumison (now Pulsant) to Bridgepoint Development Capital, the sale of City Information Services Limited to Norwegian group Viju, the sale of Psymetrix Limited to French utilities Alstom Grid, the sale of Fasteq Limited to Haas Group International, the sale of the National Hyperbaric Centre Limited to James Fisher and Sons Plc, the sale of GoodPractice Limited to Emerald Global Publishing Group and the sale of Removal Services Scotland (Holdings) Ltd to Oasis Group. Kenny advises a number of investment funds and was the lead adviser in the successful closing of Passion Capital II LP and Seraphim Space LP, Enterprise Capital Fund supported by the British Business Bank. Kenny’s involvement in growth company equity and debt investments spans all sectors and deal sizes, including multi-million financings of Pyreos Limited, Aria Networks Limited and Mallzee as well as a range of early stage investments in technology companies. In addition to a general corporate practice which includes shareholder agreements and EMI share option schemes. Other interesting deals include acting for Tiso Group in the transfer of a controlling interest to JD Sports Fashion Group, acting for M-Square Lasers in one of the first Scottish Business Growth Fund investments, helping secure a multi million project finance package for a leading renewables company and the £10m joint venture Roslin Technologies Limited. While investments in growth companies and their ultimate exit strategies remain at the core of Kenny’s practice, a resurgence of interest in limited partnership funds (including Enterprise Capital Funds) and an increase in corporate venturing activity has been particularly interesting. Kenny became Head of Corporate in August 2015 and divides his time between his Scottish client base and the firm’s increasing London client base. "Bikes, ideally on a muddy hillside somewhere but almost as happy on a long stretch of tarmac or something more gentle with the family." Acted for Mallzee in equity fundraising from Royal Mail, Par Equity and others (deal value £2.5m). Acted for sellers in the sale of Good Practice Limited to Emerald Global Publishing Group May 2015 (undisclosed deal value). Acted for company in the equity investment in Shot Scope Technologies Ltd by Equity Gap and others (£465k deal value). Acted for fund in closing of £45m Passion Capital II LP venture capital fund – May 2015. Acting for Old College Capital LP as one of a number of investors in Sunamp Limited (£1.2m deal value). Acted for sellers in sale of the National Hyperbaric Centre Limited to James Fisher and Sons Plc (deal value up to £4.5m). Acted for Aria Networks in an investment round lead by Seraphim Capital (undisclosed deal value). Acted for sellers in sale of a digital platform company to Skyscanner (undisclosed deal value). Acted for company in the equity investment in UWI Technology Limited by various investors (deal value up to £1.2m).